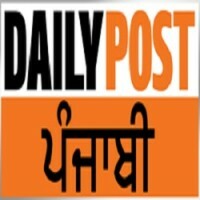 Daily Post Punjabi Latest News – Chandigarh, India. Organization Daily Post Punjabi Latest News – Chandigarh, India. The world has seen so many revolutions in the recent past. Among them, the biggest achievement is seen the field of computer. Newspapers are at the verge of replacement completely. Only the people in small towns and villages are utilizing this facility, and the maximum population in metropolis and cities are moving towards online portals. Punjabi News Websites is PUNJABI.DAILYPOST.IN contain comparatively more information than that is given in the newspaper. Besides, this sites also have detailed news, videos, feeds and information in the form of blogs or forum, where people can add their views and suggestions.